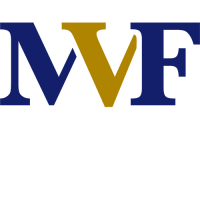 Who is Mid Valley Financial? Mid Valley Financial is the Central Valley’s premier residential and commercial mortgage lender. We pride ourselves on offering some of the lowest rates and making the loan process fast, simple and straight forward for borrowers seeking an inexpensive mortgage in California. Whether you are a first time buyer, purchasing your dream property, refinancing an outstanding loan, or consolidating debt, our highly experienced loan officers can help you take the first step toward a financial solution. As California’s leading mortgage company we alleviate the typically drawn-out loan process by preapproving borrowers within one hour! Our goal at Mid Valley Financial is not only to provide our clients with the best loan options and lowest mortgage rates, but also to create meaningful relationships our clients will trust for many years to come.